Welcome! 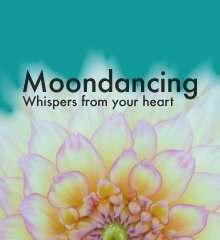 This spiritual awakening blog is where I publish past issues of Moondancing, my free e-newsletter that helps meaning-focused readers trust their intuition as they grow and change. It could begin at any moment. Out of the blue. A breathless surprise. New opportunities. A path opening up, organic. A call that announces. A door that opens. Or one that closes one so another may begin. Overcoming night fear: is it inside you or around you? Last night, I was unable to sleep. Instead, I felt myself sinking into the prickly feeling of night fear for no reason. I wondered: where was this coming from? I was in bed alone, in my lovely new home on a quiet street. I live in a small, charming town with history extending back to the 1700's. Since I moved, I've felt safe here. Cozy. I slept well from the very first night. For the past six months months, I had been running ragged: finding a home, selling my condo, packing, buying a new car and moving. When I wasn't breaking down boxes so they could be taken away, I was on long phone calls with a new corporate client: a great project, but with a mind-bendingly technical learning curve. I was happy, but stressed and bone-tired. The nails on my hands were split and unmanicured, and my feet were dry and rough. He's tall, with long greying hair and a ponytail and he's missing a couple of front teeth. He's outgoing and physically strong, and has been moving people in and out of their homes for 30 years. For those guitar fans out there (I am one), he was also a drummer for David Lindley for a time. Cool. 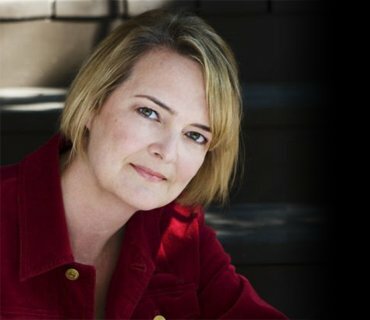 I'm delighted to welcome Renee Annis as a guest today. 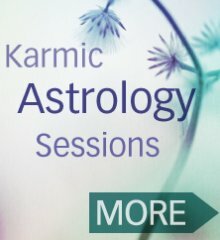 I first met Renee during an astrology session at my condo in Toronto years ago. We've kept in touch and she has a remarkable story to tell. This isn't an easy place to be. Hey, I've been there myself and still am in many ways. Yet, is it our jobs to spark others' awakening? To coax them through? Is your life Still - or Stuck? For those of us on a growth path, who may also be very sensitive (like myself), it's easy to get caught thinking that everyone else is like us. That everyone has delved deep, reflected, processed and coaxed their hearts awake. That they're accountable and deftly dealing with the shifts of change. While researching The Shift we're in, I've read that two of the first three “distortions” (departures) from pure Source energy for our universe, are Love and Light, which came as no surprise. It always astonishes me when someone tries to take advantage of me. Powering over someone is so far off my own personal radar, that when it happens, I am often catapulted into a state of surprise and bewilderment. Entanglements always start innocently, don't they? In this case, this was a man I've known for 15 years. He hired me in my first consulting job. We won awards together. Worked into the wee hours. I'm big into some “stuff” purging right now, as I often do in the spring. I've also begun thinking about how I want to grow creatively, and how I want to feel as I grow. All this... lead me to do something that I've been wanting to do for years. I've always had this restlessness inside. I've desired change and freedom in every form. Free to get up when I want, work the way I want. Freedom from corporate, it's rigid rules and hierarchies (though I did meet luvly people there). As a work at home freelancer, I am living that life of freedom. Yet, it's also a life that connects me with people all over the world, and it's the kind of freedom that begins and ends in my heart. Years ago, I dated a man from Cape Town, and he said that he never met a group of people who talked about the weather more than Canadians. That may be true, and perhaps it's because of its changeability, which surprises even those of us who've been here all our lives. Truth is, I'm in awe of the weather. It is powerful, shifting, regenerative. It's mysterious, curious, unexpected and humbling, the expression of our earth's spirit whose body has endured so much. Your idea of ‘success’ – is it successful? What does ‘success’ mean to you? Lately, I've been pondering the complexity of this question and how our beliefs about it can shape us. I've heard from a number of folks lately, who are struggling with understanding their bigger purpose in life. Why they're here. Where their passion lies. How to they know they're headed in the right direction. I've also had similar questions myself, so in this issue, I explore three questions to ask yourself, when you want to deepen your purpose. Next issue, I'll reveal three more questions, and describe how to know you're doing what you came here to do.